50% of our 2020 membership fee is donated to the charity and last year our funds were put towards the Christmas reindeer and purchasing some adorable pygmy goats! 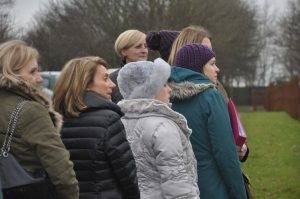 The visit was a chance for 2020 members to see the facilities, meet key members of the team and hear about the incredible work that goes on at CAFT. It was great to see nearly all our members come together in support of such a brilliant cause. After a delicious lunch and short presentation from CEO Anne Jackson, our expert guide and fundraising manager Alistair Laing took us on a tour of the facilities. We started in the Music room where children can play the instruments and record their own music videos. The studio is equipped with drums, electric guitars, a disco ball and disco lights. I could tell a few of the group were itching to have a go, particularly Debra Delglyn on the bongos! A huge outdoor play area is adapted for both able-bodied and disabled children, with plenty of open fields to play football or tag. A wooded nature reserve, walk-in aviary with wheelchair access and an assault course provide adventure for children of all ages. 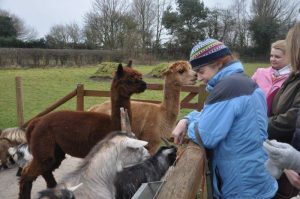 Then it was off to meet the animals: Candy and Polly, the miniature Mediterranean donkeys; three alpacas (one called Bungle who looked rather admiringly at my fur coat! ); the famous 2020 pygmy goats; chickens and a large duck pond and sensory garden. Alistair then led us down to the beautiful original farmhouse which dates back to 1607. The building offers accommodation for 18 children and their carers. We were all glad to get inside out of the cold air and the farmhouse had a wonderfully warm and cosy atmosphere. I couldn’t help but feel at home there and thought the children must feel very relaxed and safe there too. Our whistle-stop tour ended with a look at the colourful dedicated art room (where a few of us had to resist the urge to draw on the blackboard), sensory playroom and more specially adapted apartments. All the facilities are so clean, well maintained and beautifully decorated by the clearly dedicated team. 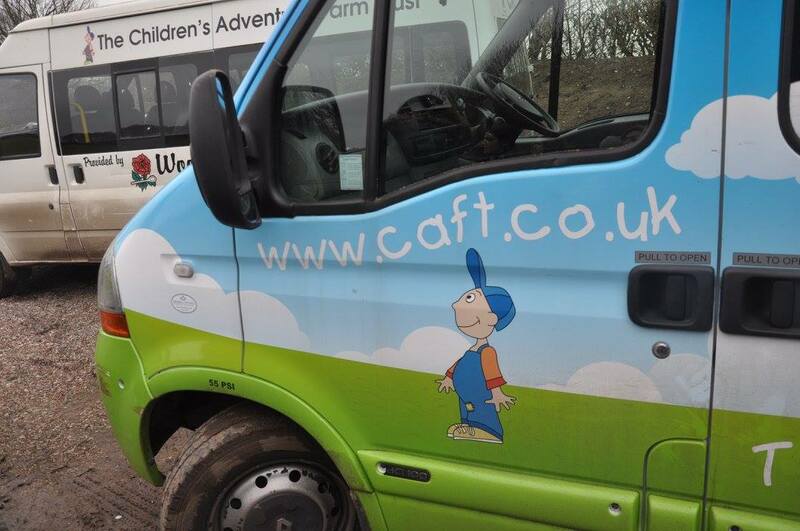 What a wonderful charity we support! 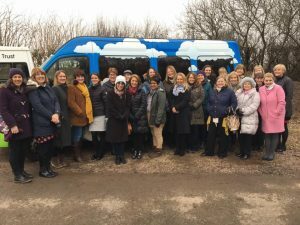 It was a real privilege to see the facilities first hand and hear some of the memories CAFT helps to create for disadvantaged children and their families. 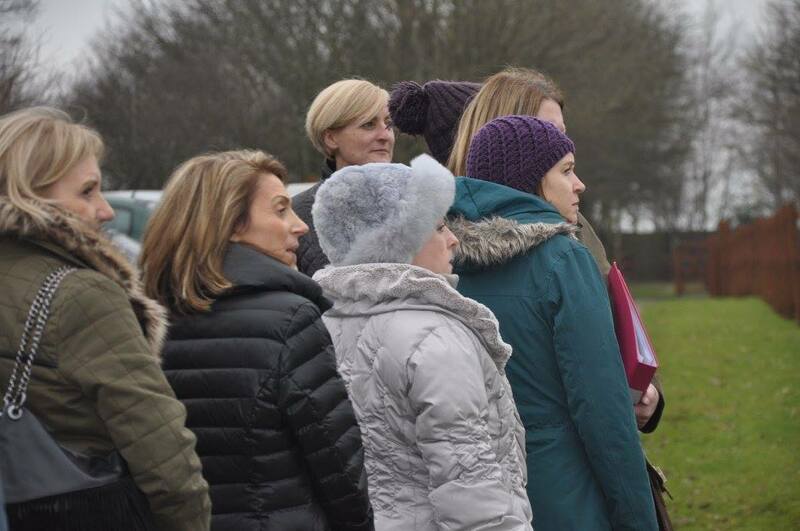 Huge thanks to Anne Jackson, Pippa Watson and Alistair Laing for giving the 2020 ladies such a warm welcome.